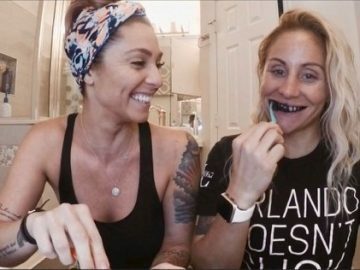 First it was the charcoal face mask and NOW there’s the charcoal toothpaste! 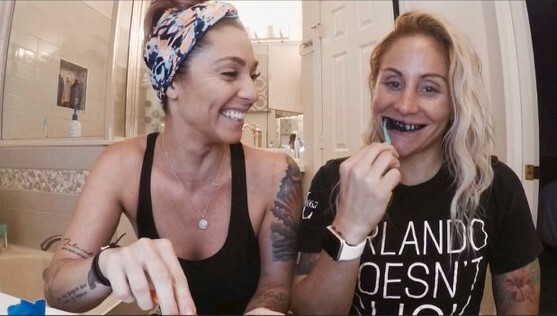 The wife and I tried the Misfit Cosmetics teeth whitening powder and we loved it! Instead of using our everyday toothbrush (It gets a little messy) I went to the dollar store and got us some toothbrushes to use just for the powder. The product was really easy to use! You just wet your toothbrush and dip it into the powder and brush for 2 minutes! The thing I love about this product is that there are no harsh ingredients in it andIt’s 100% cruelty free and not tested on animals. In the end… We honestly think this stuff works! I wouldn’t use it every single day just because of your enamel! Maybe use it before a night out or a big event! ENJOY!